Traditional backups are just too slow, inefficient, and unreliable for the typical data center of today. The data being protected is growing dramatically and backup windows are often shrinking. How can you effectively manage your backups when IT budgets are flat or declining? If it’s bad now, it’s only going to get worse with more servers and more data to protect. Someone once said, the definition of insanity is continuing to do the same thing over and over and expecting different results. 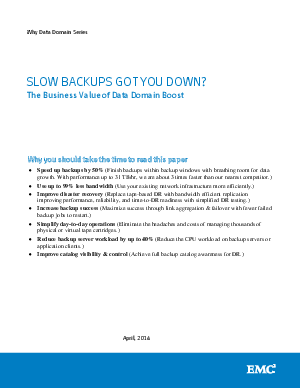 It’s time to stop the insanity with your backup strategy.